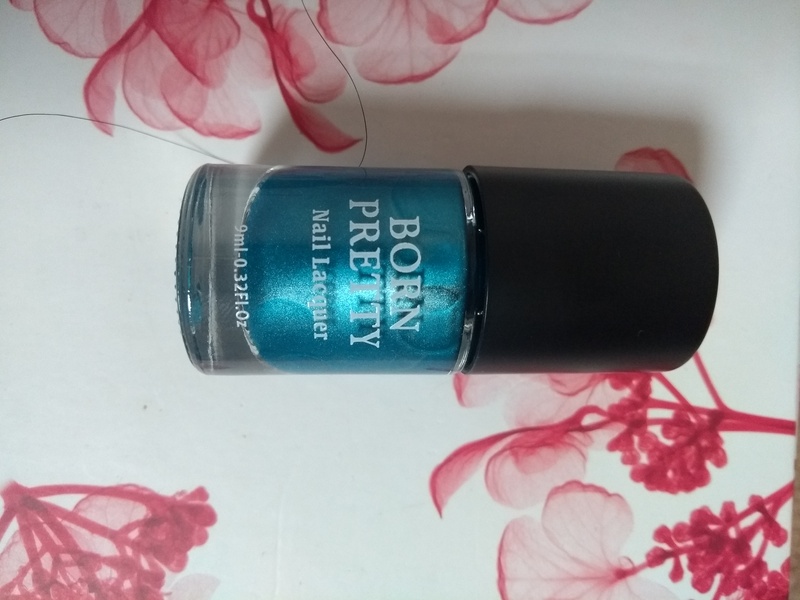 I have purchased this from Ebay and I have never tried a Born Pretty nail polish as far as I know so I thought I’d try one. The bottle is clear round bottle with the brand printed on the bottle with a black lid. The colour is a bright shimmery blue. Applying this nail polish was seemed pretty good at first it was very thick and it gave signs it could be streaky or leave lumps on the end of the nail or by the cuticle if you didn’t apply one full stroke from cuticle to tip of nail or you put too much nail polish on the brush. The nail polish seemed easy to apply and was opaque in one coat. I did notice while applying this nail polish that this formula could be one that could stain your nails so I definitely would recommend wearing a really good base coat or add to coats. Removing the nail polish was a slight nightmare as it got right in to the skin area round the sides and near the cuticle and under the tips of the nails. The colour was a very pretty vibrant blue that I was very excited about. 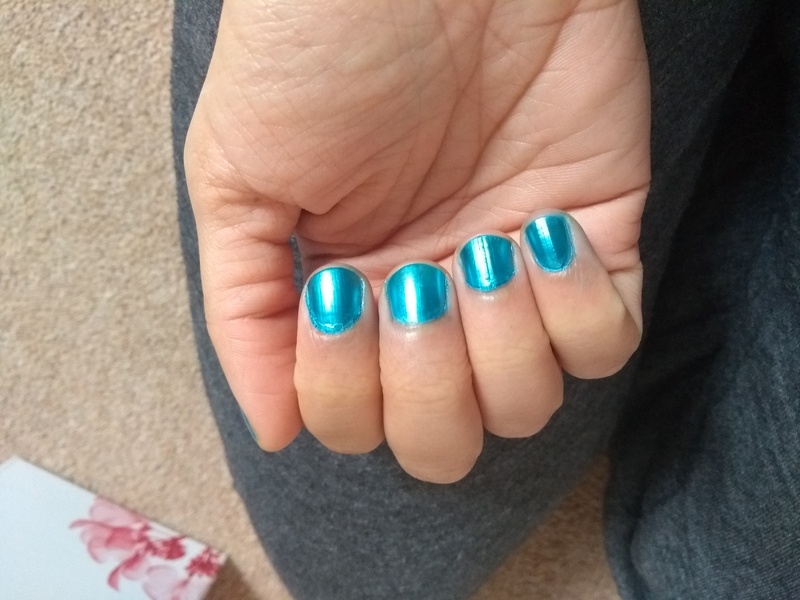 I give this nail polish 5/10 its cheap in price and very pretty colour but it will stain and dry your nails and can be streaky if you try to touch up. I wouldn’t recommend this one unless you fully sort out your cuticles and wear a very good basecoat.